PICTURE – Gravity – It was the only film that felt like it was carving out something new and totally original. It was entertaining and memorable. But if 12 Years a Slave wins, I won’t be upset. 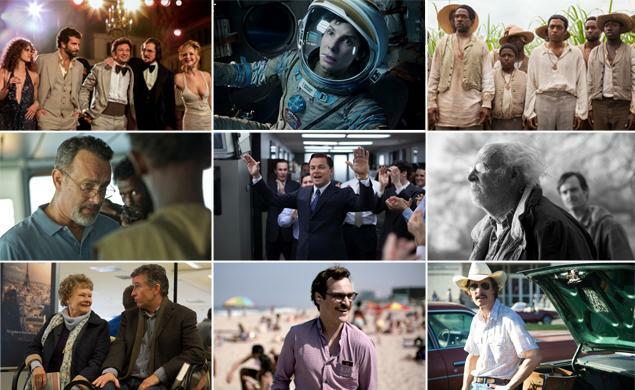 DIRECTOR – Frankly David O. Russell deserves more praise. His last 3 films have results in 11 (11!) 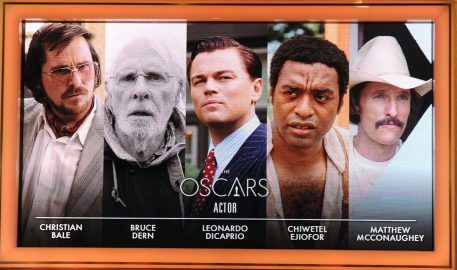 nominations for his actors (and Mark Wahlberg was snubbed for The Fighter). No one can argue with Steve McQueen winning for 12 Years a Slave and that’s one of those historic wins that the Academy likes patting itself on the back on the rare occasion they recognize someone who isn’t a white male. But Gravity was so original and so technically complicated, Alfonso Cuarón deserves it for sure. And he isn’t a white male either. ACTOR – McConaughey really deserves it. But I’m voting for DiCaprio. He’s never won and has deserved it. 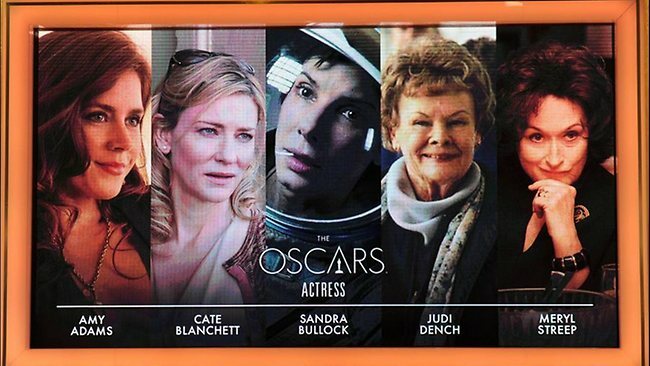 ACTRESS – Perhaps because Cate Blanchett annoyed me so much in Blue Jasmine she should get my vote. Sandra Bullock carried Gravity, literally, but she just won an Oscar. So I am going with Amy Adams. She has never won, has deserved it, and was great in American Hustle. It’s my vote. I can play favorites. SUPPORTING ACTOR – Jared Leto was fine. But frankly I am sick of straight actors playing gay and transgender roles. Let a gay man play it (and then be told he shouldn’t win cause he “wasn’t acting”). Oscar loves straight people cross dressing. But that’s not enough to get my vote. This was the best I’ve ever seen Jonah Hill whom I normally am not impressed with. But I’m going with a surprise even for me – Bradley Cooper. American Hustle was way over the top and all the actors were phenomenal. 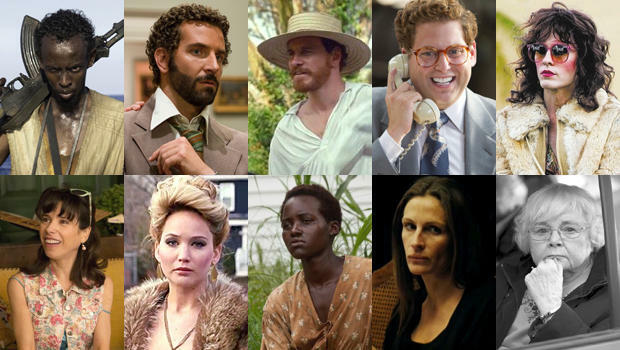 SUPPORTING ACTRESS – Any of the five are fine. Jennifer Lawrence was the most memorable, but I am still bothered that she was about 15 years too young for her part. Lupita Nyong’o was tremendous. Unlike the Oscars, I don’t like giving my vote to a rookie actor. So I’ll go with June Squibb. Without her, Nebraska, a fine but plodding film, would have been a tough road. ORIGINAL SCREENPLAY – Her by Spike Jonze. So original and believable. I have been told that men in general liked this film and women did not. Is that your experience? 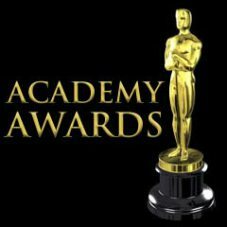 ANIMATED FILM – I haven’t seen 2 of the nominees – The Wind Rises was just released into theaters and Ernest & Celestine is due for a March release. I expect The Wind Rises will end up being my favorite, but until then I’ll go with Frozen. I thought The Croods, while beautiful, was supremely dumb. Again these are who I would vote for to win. Not who will win. 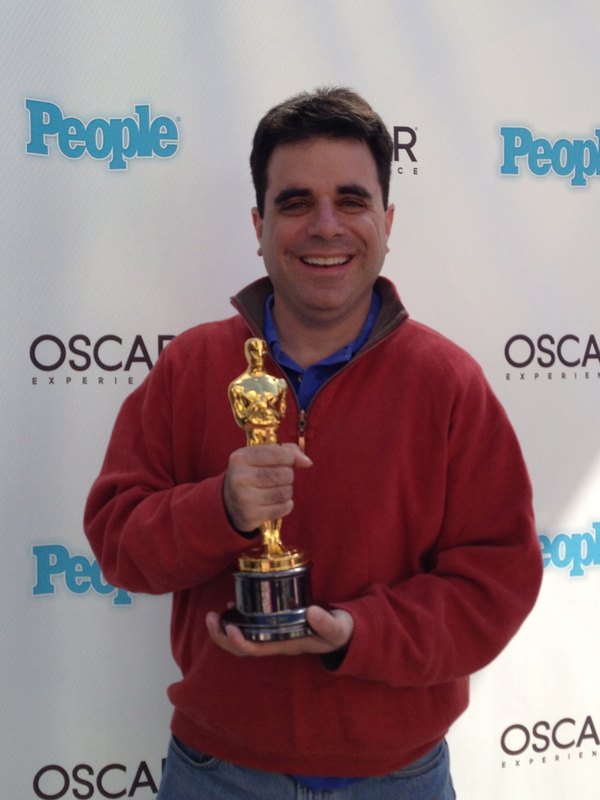 Predict the Oscars online with RaMaKblog. Fill out the quick registration on the right (UserID, password, email, name) and we’re off. This entry was posted in Movies and tagged 12 Years a Slave, Academy Awards, Alfonso Cuarón, American Hustle, Blue Jasmine, Bradley Cooper, Cate Blanchett, Dallas Buyers Club, David O. Russell, Ernest & Celestine, Frozen, Gravity, Her, Jared Leto, Jeff Pope, Jennifer Lawrence, Jonah Hill, June Squibb, Leonardo DiCaprio, Lupita Nyong'o, Matthew McConaughey, Nebraska, Oscars, Philomena, Spike Jonze, Steve Coogan, The Croods, The Fighter, The Wind Rises, The Wolf of Wall Street. As always well written. I agree with most of your logic. This woman liked “Her” and I wish Scarlet Johansson was nominated. Totally disliked June Squibb. If they wanted her to sound like Kathy Bates, they should have gotten Bates. What I liked about Gravity was no NASA, all outer space. Didn’t like Nebraska. Didn’t like Cate Blanchett, did like Judy Densch. agreed with most of your comments. I did like June Squibb but agree with you – Nebraska was plodding and June brought some life to it. Disappointing. Didn’t see Gravity yet ! Or Wolf of Wall Street. Don’t want to see Wolf – should I? Loved, if you can love, 12 Years a Slave – even thought a lot of it was spent with my head in my lap. DiCaprio should win, but loved McConaughey. American Hustle great and I wouldn’t mind seeing Amy Adams and Bradley Cooper win. All were great. Was not expecting to like it so much. I liked “Her” and last time I noticed, I was still a woman. Interesting film and so well done.